The team at JetSloth are super excited to introduce our soon to be released Gravity Forms plugin. The new Gravity Forms Collapsible Field groups plugin allows you to add collapsable accordion to groups of fields using the standard Gravity Forms section field. The section field acts as a start and finishes for the group of fields you want to combine in once easy to use collapsible accordion. Works great on long existing forms or even new ones. 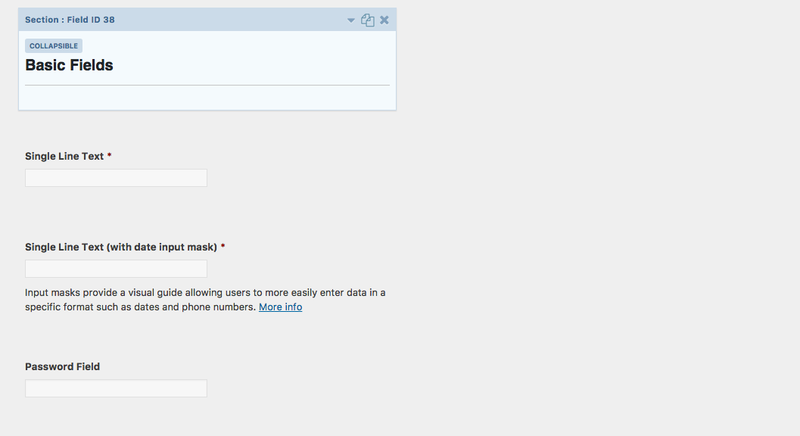 Just install the plugin and group your fields using the section field. Pretty simple. We know what you’re thinking, we’re in love too! Spread the love.